For many, Equal Pay Day looms large as a symbol of women’s unequal status at work. 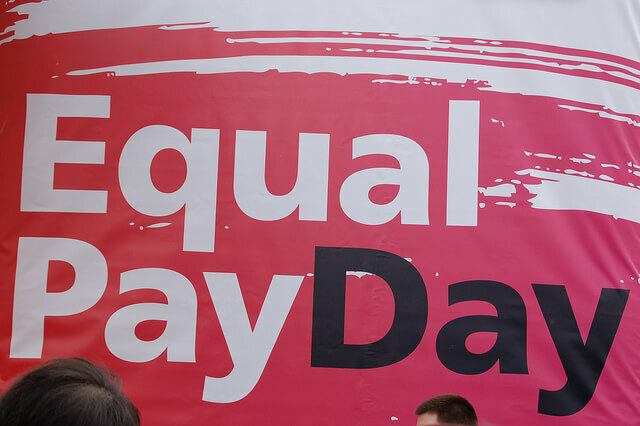 This year, it fell on April 2nd, representing the date on which women would earn the same amount as men made the previous year … a full three months later. Kim Center’s Hei-ock Kim spoke with Maureen Cavanaugh, co-host of San Diego’s KPBS Midday Edition radio show. Together they explored the multi-faceted issue of the wage gap as it relates to society’s larger cultural ailment: the fact that women still have second-class status. Dr. Kim also revealed the Kim Center’s structured action plan to fast-track gender equity in America’s workplaces.